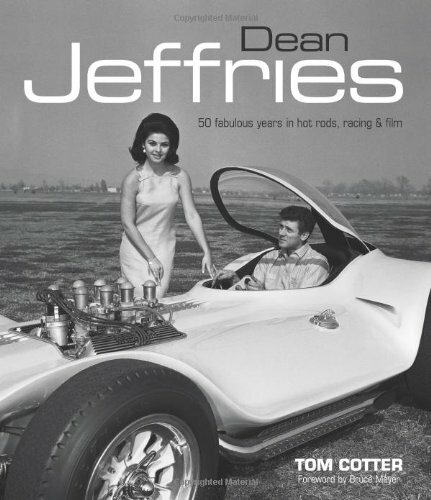 Before writing his first book, Tom Cotter had long been involved in nearly every end of the automotive and racing industries. From mechanic and auto salesman to heading the public relations department at Charlotte Motor Speedway, Cotter formed his own racing and automotive PR and marketing agency, Cotter Group. The agency represented some of the largest clients in NASCAR, IndyCar/CART, drag racing and road racing. He has written biographies of the legendary Holman-Moody race team, Tommy Ivo and Dean Jeffries, but is best known for his series of barn find books, such as Cobra in the Barn , 50 Shades of Rust and Barn Find Road Trip. Cotter appears in the Barn Find Hunter video series, which is distributed by Hagerty Insurance. He teaches public relations at Belmont Abbey College, sits on the advisory board of McPherson College’s Auto Restoration program, and is a member of the Road Racing Driver’s Club (RRDC.) He is married to Pat, has one son, Brian, and lives in Davidson, N.C.